ASK us Have a question? Find the answers to your most frequently asked questions. Depending on the item(s) you purchase on eileenfisher.com and the location to which the items will be delivered, different shipping methods will be available. Each shipping method has its own restrictions and charges that will be applied to your order. At checkout, you will be prompted to choose a shipping method for your item(s). Please note, some shipping destinations may offer only one shipping method. Shipping costs are dependent on the shipping method you select. Your total shipping charges will automatically compute during checkout prior to the completion of your order. 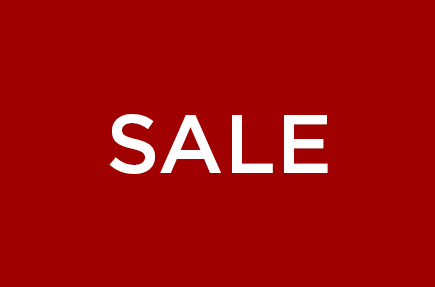 EILEEN FISHER Ship to Store: All Ship to Store orders are shipped free using expedited delivery. Shipping to an Address in the 48 Contiguous United States: We offer three shipping options: Standard, Second Business Day and Next Business Day. We begin processing all confirmed orders received by 1PM EST on the same business day. Business Days are Monday through Friday, excluding United States Holidays. Standard Shipping: In-stock items will arrive 4-6 business days after your order is processed. Orders received by 1PM Eastern Time will be processed the same day. Orders received after 1PM EST will be processed and shipped the following business day. (Saturday delivery is not available). Second Business Day: In-stock items will arrive in 2 business days after your order is processed. Orders received by 1PM Eastern Time will be processed the same day. Orders received after 1PM EST will be processed and shipped the following business day. (Saturday delivery is not available). Next Business Day: In-stock items will arrive by end of day on the business day after your order is processed. Orders received by 1PM Eastern Time will be processed the same day. Orders received after 1PM EST will be processed and shipped the following business day. (Saturday delivery is not available). APO Addresses: All shipments to APO (military base) addresses are shipped Standard Shipping via United States Postal Service. In-stock items will arrive 5-7 business days for delivery once the order has been processed; however, some destinations may take up to 21 days. Orders received by 1PM EST will be processed the same day. Orders received after 1PM EST will be processed and shipped the following business day. Alaska, Hawaii, Puerto Rico and Guam: All shipments to Alaska, Hawaii, Puerto Rico and Guam are shipped Standard Shipping via United States Postal Service. In-stock items will arrive 4-8 business days after your order is processed. Orders received by 1PM EST will be processed the same day. Orders received after 1PM EST will be processed and shipped the following business day. We do not offer expedited delivery to APO addresses, Alaska, Hawaii, Puerto Rico, Guam or to PO boxes. Shipping Charges: Our shipping charges include processing fees that include the cost of processing your order, handling and packing the products you purchase and delivering them to you. EILEEN FISHER does not currently offer weekend delivery. Most orders for items currently in stock begin the order process as soon as your online purchase is completed. Your in-stock item will be shipped once the item is located in stock, your payment is approved and the receiving addresses are verified. You will not be charged for any item until it is shipped to you..
Back-ordered or preordered items are items that are not yet in stock, but available for advanced purchase on our site. Such an item will be processed for shipment once it is in stock. You will be notified of the status of your back-ordered item via email. You will not be charged for any item until it is shipped to you. Please note: Expected shipment times appearing on the product detail page specify when an item is expected to arrive in our warehouse, not when the item will arrive at its final shipping destination. Tracking numbers are applied to orders once they are processed for pick-up by the shipping carrier. They are included in your shipment status email. However, it may take additional time before the package is checked into the carrier's tracking system. That means even though your package has already shipped from our warehouse and is on its way to you, the carrier may not be able to provide any information about your package. For APO, FPO, DPO addressed purchases, Alaska, Hawaii, Puerto Rico, Guam and Rural territories, orders are delivered via USPS. USPS does not offer a tracking number to track a package. As a registered customer in these instances, Your Order History will not offer tracking information, but will still offer order status and other details. Orders placed using the Guest Checkout option will not appear in Your Order History. Details of your Guest Checkout order may be found in your order confirmation email as well as the invoice included in your order. The status of your order is easy to find. You will receive emails (at your email address) keeping you up to date about the status of your order. To view your order status, please visit the My Account section of our site and enter your email address and password under the "returning customers" section. After you have logged in, you may view information about your most recent orders (including tracking information) as well as past orders made after the middle of November 2009. If you have shopped as a guest using our Guest Checkout option we are not able to provide order status updates. Once your order has shipped you will receive a shipping confirmation email with tracking information and details regarding your order. If you have an EILEEN FISHER account and would like to use the Guest Checkout option, please note that EILEEN FISHER customer rewards points will not be accrued for any orders placed using this option. Orders placed using the Guest Checkout option will not appear in your account history. For additional assistance please chat with a Customer Service Associate when the Live Chat button is visible, Monday through Saturday, 10am-5pm, EST (excluding US holidays); email onlinesupport@eileenfisher.com or call us at 1.800.445.1603. Our Customer Service Team is available Monday through Friday 9am-10pm EST and Saturday from 9am-5pm EST (excluding U.S. holidays). 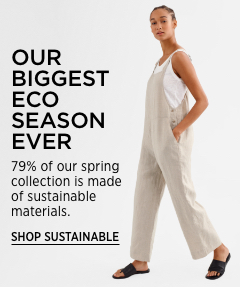 The status of your order is supplied by www.eileenfisher.com, and represents what is happening with your order between the time you place it and the time it ships from our warehouse. Once your order leaves our warehouse, it is handled by a carrier that may provide tracking information until your order is delivered. The tracking information is accessible from Your Order History on our website once it is available. 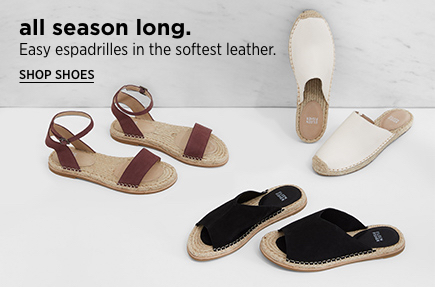 EILEEN FISHER is pleased to offer shipping to multiple addresses. With this feature, you can send items in your Shopping Cart to more than one shipping address in just one order. For example, if you would like to send a sweater to a friend and a scarf to a family member, simply click the "Click Here to Ship to Multiple Addresses" button on the Billing and Shipping page and select or add both addresses next to the respective line items. You do not need to place separate orders. Only one shipping method may be applied to all items. The shipping fee is only charged on the first item. Please note: This feature may not be available for some addresses outside the continental United States. If you are unable to send an item to a particular address, simply remove it from your cart and place it as a separate order. Shipping your items on time is very important to us. For many items, we calculate estimated delivery dates to help you find out when these items are expected to arrive. An estimated delivery date is a calculation of several factors, including item availability, allocation time in our warehouse, the shipping method you select and the final shipping destination. 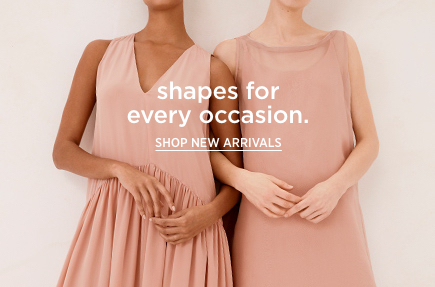 You can now shop at eileenfisher.com and pick up your order in your favorite EILEEN FISHER US retail store. This complimentary delivery option offers the convenience of shopping online and the personalized in-store service you rely on. 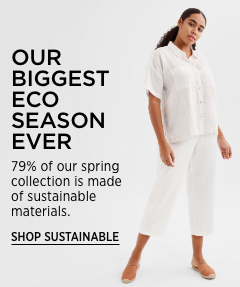 To use this service, select the EILEEN FISHER Ship to Store option on the Billing and Shipping page during checkout and choose a store from the menu.